It’s been several long years since we’ve properly enjoyed the antics of the Freeman family and their eccentric neighbors in the suburb of Woodcrest. Whether it was laughing at Riley’s ill-informed quest for the “thug-life,” rooting for Grandad and his pursuit of happiness (and women), or listening to Huey sum up basically everything wrong with the world around him, one thing became clear. The Boondocks not only provided commentary on the complexity of the black experience but how it relates to the changes in society and popular culture overall. From its early beginnings as a series of comic strips written for The Source magazine back in 1997, The Boondocks always carried a bit of truth in its presentation and choice of subject matter. 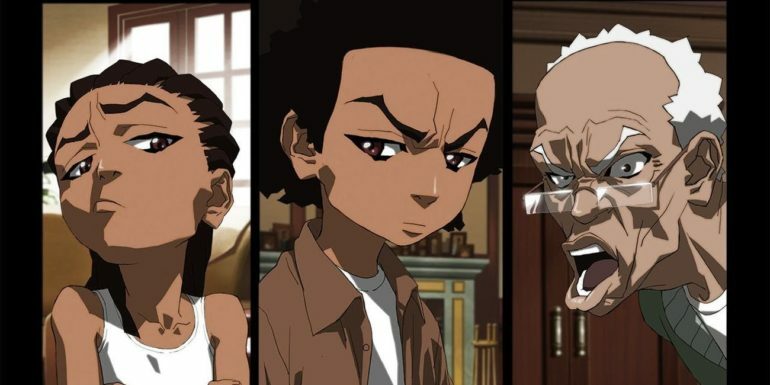 Written by and based off the childhood of creator Aaron McGruder, who similarly moved from Chicago to Columbia, a diverse suburb in Maryland, the characters each represent a certain ideal that can be recognized in the real world. Even the more off-putting or ridiculous figures, such as Stinkmeaner and Mr. Uberwitz (Huey’s teacher from ‘A Huey Freeman Christmas’), are grounded in reality if not a bit exaggerated. Somewhere in the middle of this lies Robert “Grandad” Freeman, who wishes for nothing more than a life of simplicity for his family. Shown to be a former civil rights activist and having been part of some of history’s major events, Grandad holds a more pragmatic view of things and usually bumps heads with both of his grandsons. As Riley tends to get into trouble and Huey is always focused on the bigger picture, they often complicate Grandad’s plans of rest and relaxation. 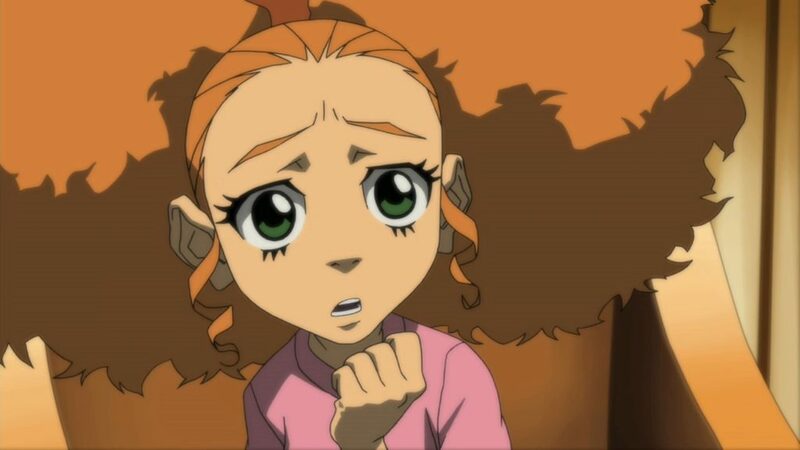 There are other characters who also serve to embody different realities in the world, such as Uncle Ruckus, who explicitly hates black people while being black himself, Tom DuBois and his wife Sarah, representing an interracial marriage and a possible “Uncle Tom” complex, and their daughter Jazmine, who is shown to be very naive possibly due to her father’s influence. 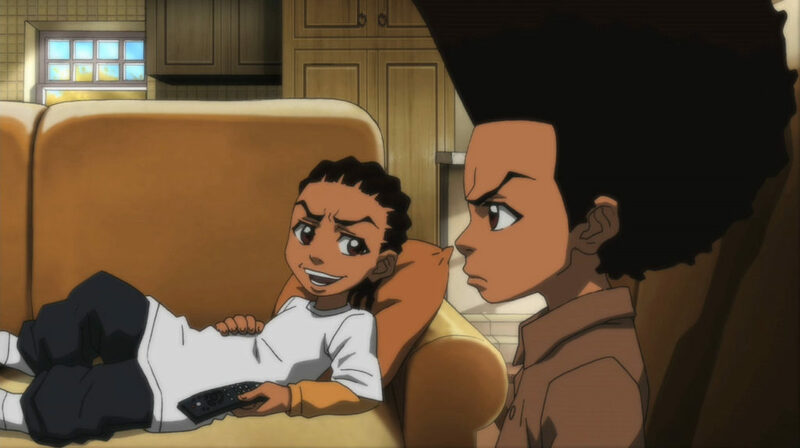 With the current political climate and state of pop culture, The Boondocks’ return would be just as impactful as it was (and still is) during its original run. Given the use of phrases such as “canceled” and “being woke,” and with constant debates regarding issues like cultural appropriation, gentrification, and the use of “the N-word,” the series would have a nearly endless supply of topics to cover. 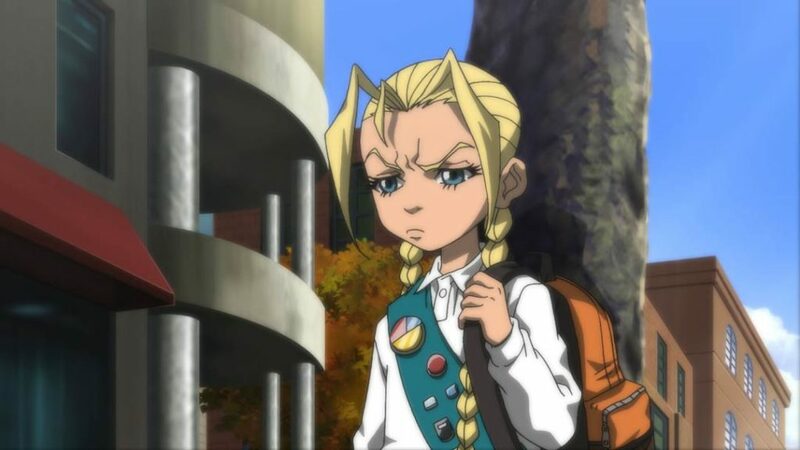 It would even be interesting for Aaron to introduce comic book regular and Huey’s best friend Michael Caesar into the mix, as his more positive outlook on life acted as a foil to Huey’s often pessimistic one. Though one can only dream.